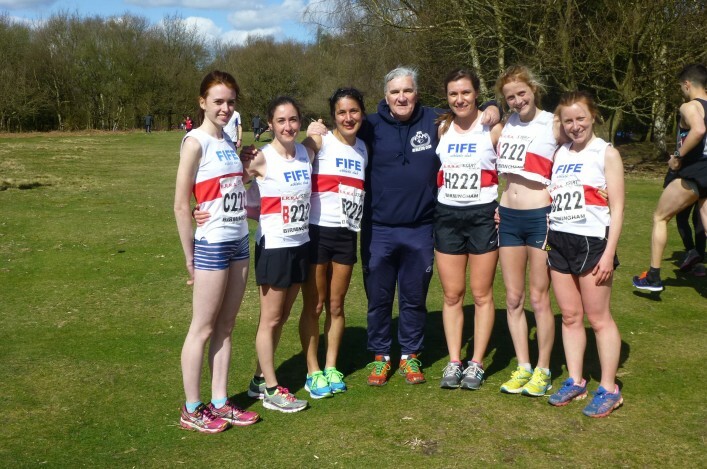 April was quite a month for Fife AC’s women road race team – culminating in a terrific combined performance at the London Marathon. 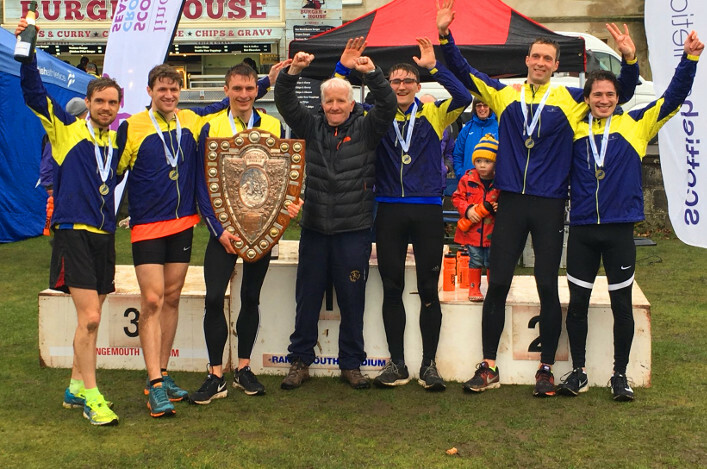 The club finished second place in the London Marathon team championships and will now collect silver medals from British Athletics. 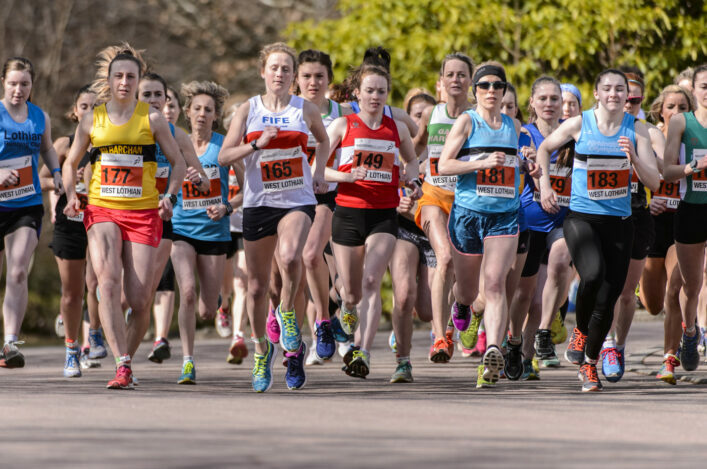 That was just one of the highlights in April for Fife AC women as they finished ninth in the ERRA England Road Relays in Birmingham, took the team prize at the Scottish 5k Champs as well second place in the Tom Scott 10-Miler when Megan Crawford won the individual gold. Megan was the first Fife finisher in the London Marathon and her (gun) time of 2.40.26 was added to those of Katie Jones 2:52:30 and the 2:58:16 run by Sophie Mullins. It ensured Fife finished second in the British club table just ahead of Cornwall and behind winners Bristol and West. There was a certain irony in Bristol and West benefiting from a run by Helen Sharpe, also a Fife athlete, for their overall 8:15 tally! Sophie and Katie are pictured next to coach Ron Morrison here with Megan to his right. Jennifer Kibble and Amie McKimmie, also pictured, also ran PBs in London, with Stephie Pennycook on the left of the photo from the ERRA Road Relays. Pennycook won U20 gold at the 5k champs as well as team gold and individual bronze. 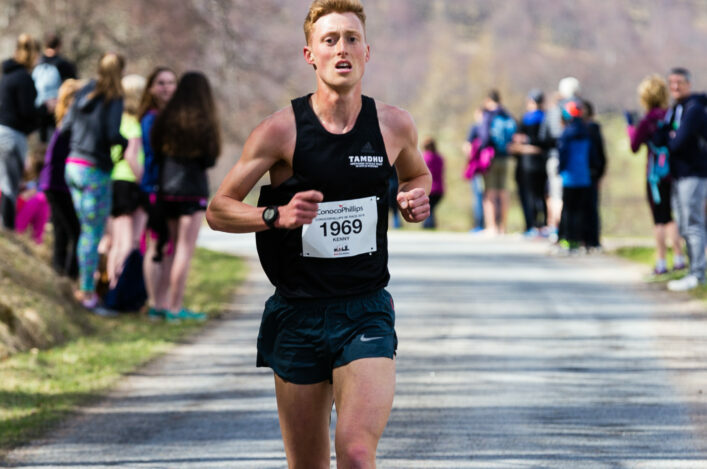 Overall results released by British Athletics and Athletics Weekly reveal that Edinburgh AC finished sixth in the London Marathon team race on the men’s side. Edinburgh were led by Neil Renault at 2:21: 45 with the other counters being Adam Rouse 2:29:26 and Leon Johnson 2:39:03. Congratulations to both clubs and all the athletes, coaches and all the famlies and ‘support staff’ involved. There’s an interview on the Edinburgh AC website with Adam Rouse on breaking 2:30 after three years of trying.